In 2004, Luciano Nincheri and Alessandro Bettarini decided to create wrist and dashboard watches for collectors and enthusiasts, using the latest technology while embodying the Italian engineering, craftsmanship and watchmaking traditions. Bettarini worked as a developer for Panerai when the company was unkown and supplied the Italian Navy, and was involved in the development of the Luminor and the Mare Nostrum. Nincheri had experience as an electrical designer and an expert in high-technology. The associates named the company after their last names: Nincheri and Bettarini, thus EnneBi (it is a common practice in Italy to make up a company’s name by adding vowels in an accronym). All Ennebi components are manufactured in Tuscany and carefully tested and assembled in their labs in Prato. The first collection was named Fondale (Depth) and drew inspiration from a project developed at Panerai. The company has added new original designs to its collections, often releasing limited editions for sports, military and law enforcement institutions. 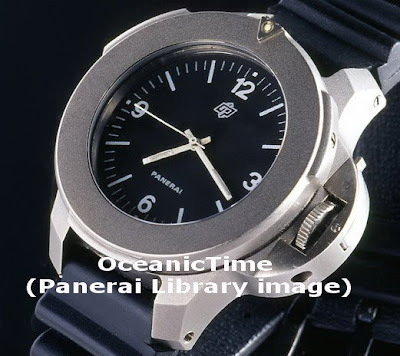 Check out the posts about Ennebi on OceanicTime and Men’s Watch Review.